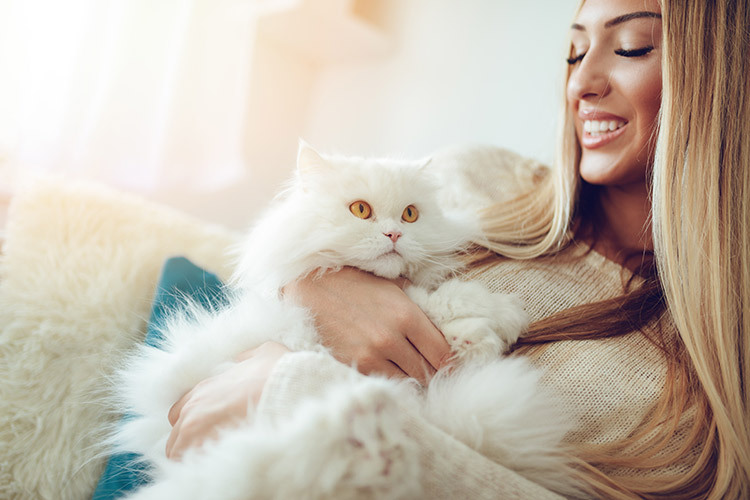 When we say “squeeze” we mean “passionately cuddle.” What is it about cute animals (and things) that brings a swell of irrepressible emotion in us? As you might have guessed science suggests that these feelings are biological and have some sort of basis in survival. You might have noticed that you feel this wave of ardor more strongly when you see a picture of a cute animal but don’t feel the emotion as strongly when a cute animal is physically present. There is a reason behind why you feel the need to jump up and down and become almost violent. We all squeal and make noises when we see adorable viral videos of baby wild animals or an animal mother cuddling her young. The science says that because we aren’t able to touch the animals we have no outlet for our strong emotions. Do your fingers and arms clench when viewing these videos and photos? That’s because your body is physically reacting. Seeing cute animals unleashes a biological instinct in us to want to hold and caress cute creatures but when that instinct is not satisfied our emotions become more exaggerated. We love tiny animals that we can hold. Protecting or nurturing miniature creatures such as rabbits, gerbils, or small dogs brings about a feeling of euphoria. That feeling may be what we are trying to capture when we have these small fluffballs in our home. One hypothesis about the evolution of dogs and cats is that they are in a perpetual “baby” phase. Instead of growing into a full-fledged wolf or tiger, dogs and cats remain in a playful puppy/kitten stage of life. How they departed from their wild ancestors is another issue entirely. However, being forever young has its advantages as it draws out the nurturing instinct in humans – who are supposed to be their guardians. Consequently, we don’t mind when our 50-pound dogs want to sit on our laps or steal the blankets! If we have such powerful emotions about adorable critters, what stops us from smothering the life out of them? Science again answers this question. When we have the ability to touch and feel the objects of our desire we seem to be more in control of our feelings. Our biological instincts to protect and nurture come into play. When confronted with cute animals (or babies) we have an innate need to take care of them. Hurting an animal or baby goes against this instinct. People don’t seem to have a filter for which animals are considered cute. Cute is cute no matter what the animal is after all. This might explain why people love cute animals – not just human babies. Just as we developed a taste for sweetness in order to help us find nutritious, non toxic foods, we have also developed an instinct for “cute” creatures. Perhaps we have an affinity for other mammal babies because we historically raised them for protection, food, and clothing. Even mammals that would normally be dangerous are considered cute or lovely to us, maybe because there are so many similarities within the animal group. Another reason why a great distance might create such an intense, passionate reaction from us is because our biological instinct to hasten our arrival to “save” or “protect” the vulnerable creature is aroused. It’s not purely coincidence that most of Earth’s adorable animals also happen to be young and weak. It is nature’s way of invoking that primal reaction in us to guard and defend. National Geographic: When We See Something Cute, Why Do We Want to Squeeze It? Popular Science: Why Do We Want to Squeeze Cute Things?